In most parts of the world, the end of summer brings about dreary, cold, and unstable weather. But not here! Coming back from your well-deserved vacation, your kids back at school, and the mercury falling within humanly-comfortable temperatures, now is the time to make those little tweaks, minor works, or even major changes to your home and space. Temperatures may be dropping, but your AC is still your lifeline. Get it maintained now to make sure it runs smoothly for the rest of the season. Chances are some uninvited guests got too comfortable in your home while you were away. Book your Instant Booking Pest Control job now to get your home serviced with municipality-approved treatments, guaranteed to keep your home pest-free for six months. Need some help cleaning around the house? Book your cleaners now according to your requirements and get the support you need. When you're ready to move, you simply want the most professional movers to handle your relocation. 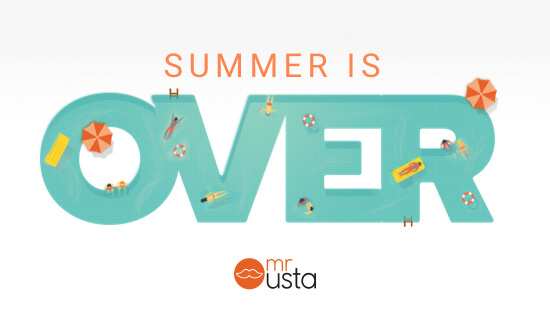 Book your moving service through Mr Usta for that extra piece of mind. Spruce up your home with a little color! Whether one wall, one room, or your entire villa, we've got the painters for you! Nothing like tea-time in your own garden. Get your lawn reseeded, add some flowers, prune your trees, or even build a gazebo with our landscapers today. Not the jobs you were looking for? No worries. We have over 200 categories to choose from. Just click the link below to find the job that you need.